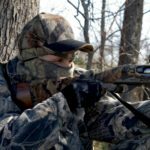 They’re various tips and strategies that can make you a better hunter. However, those who implement what they learn compared to those who don’t, are few and far between. Today, thanks to Google, we have an abundance of whitetail knowledge right at our fingertips. But, those who don’t see immediate results after using tips from the latest hunting article, quickly get discouraged. Let’s face it, we live in a society where everyone wants instant gratification. Some hunters are searching for the magical solution to killing bigger bucks. Guess what? There isn’t one. Unfortunately, some of today’s hunters are carrying this mentality into the woods. I’m here to tell you It’s not going to work! Hunting is a far cry from that. We put in long hours in the stand, most of the time with nothing to show for it. But, that time isn’t wasted. Successful hunters realize this. They cherish their uneventful hunts just as much as their successful ones. Why? Because they step into the woods to become a better hunter. They learn from their mistakes, they pay close attention to detail and their experiences, and use this knowledge to hone their skills. They take action and consistently implement basic strategies every hunting season, not letting complacency take over. This is why they reap the benefits of harvesting mature deer year after year. It’s time to focus on becoming a better hunter. Ask yourself what you could be doing differently. Realize that the outcome of every hunt will not be a successful one. Understand that mature deer aren’t taken easily. Stop searching for an immediate solution, take action on strategies that you’ve been neglecting and learn from your mistakes. There’s no better time than the present. Together we can bridge the gap! Every hunter should know that scent can make or break a hunt. Yes, we’ve all witnessed close encounters with deer when we haven’t utilized scent control. But, this has more to do with wind direction than anything else. Shower and wash your clothes with a scent eliminator prior to stepping into the woods. Also, use a scent blocker to spray down your boots, head and underarms. Most of your scent is omitted from these areas. Weather plays an important role in deer movement. Never force a hunt! If the wind direction isn’t ideal for your set-up, it’s smarter to skip the hunt rather than educate a mature buck on your property. Also, start saving your vacation days for cold fronts. These are some of the best times to be in the stand. 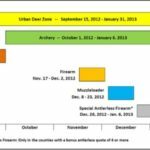 Preparation is important for a successful hunting season. Pre-season scouting will allow you to locate feeding and bedding areas, travel routes, and possible stand locations. Invest in a trail camera. Get your camera set up in late spring or early summer. They’re your eyes in the woods. 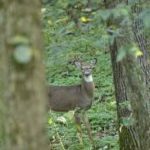 You’ll be able to gather and analyze important information about deer population, mature bucks, feeding and moving patterns. It’s important to get your setup hung pre-season. Be sure to set aside a summer weekend to check this one off your list. 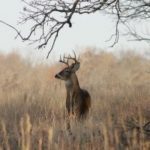 Getting this done early will help you choose the best stand placement, understand how deer move to and from your stand and allow the woods to calm down afterwards. The last thing you want to be doing is selecting your setup mid-season. I can’t stress this one enough. You should be perfecting your shot during the spring and summer months. This will make you a more confident and fluent hunter in the field. Practicing will not only help you make a humane kill, but will also help you capitalize on big buck opportunities that present themselves. Along with hanging stands, cutting shooting lanes are just as important. You’ll be kicking yourself during the season if that limb is blocking your shot at a nice buck. Make sure you clear all necessary limbs that could block your shot placement. But, be mindful to keep enough natural cover to keep you concealed. Quality deer management is important. Season after season you’re in the pursuit of a trophy buck. Yet, so many hunters shoot anything with antlers and pass up on opportunities to harvest a doe. Does this sound familiar? 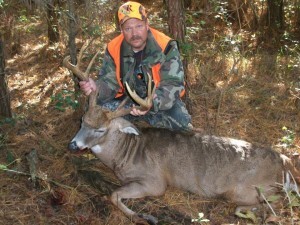 Proper doe management and allowing bucks to mature are qualities of an educated hunter. Try implementing this on your property. If you’ve read this far it’s because you have a passion for hunting. We’re not all perfect. I have my moments too. But, it’s time to ruck up and stop acting like a hunter and actually become one. It’s time to shrink the gap between those who kill big bucks every year and those who don’t, and it starts right now!